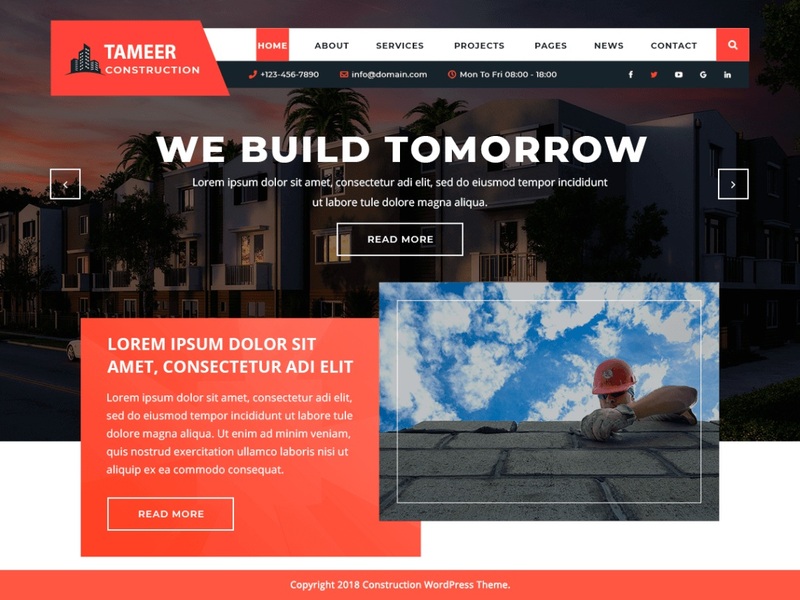 Tameer Construction is a powerful, bold, attention-grabbing and performance focused construction WordPress theme for builders, construction companies, infrastructure companies, construction equipment traders, contractors, and similar businesses. By customizing it a bit, it can be used by real estate agents, property dealers, brokers, property owners, architectures, renovation and repairing service providers, plumbers, and other relevant businesses. It is fully responsive and all browsers compatible which give it a great look on any device and browsing platform you load it on. Three layout options are provided: boxed, full-width and full screen with various header and footer formats that open a wide scope of design options. This construction WP theme is embedded with social media icons so you can promote your services on larger platforms. It was very well used a call to action (CTA) buttons; SEO is taken care of to get a good rank in search engines. It is integrated with WooCommerce plugin so you can set up your online store for selling construction material through the current website only. Get the professional look for your website and make it mirror your services through this theme.